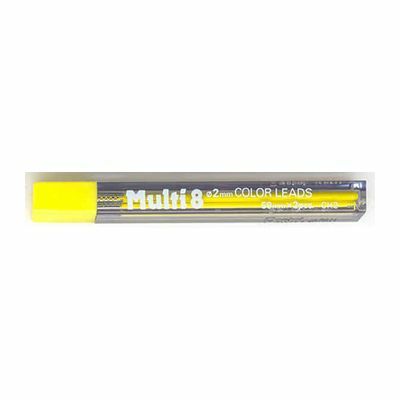 Tube of Pentel Yellow leads for the Pentel 8 colour pencil. Two leads per tube. 2.0 mm lead diameter produces bold lines of consistent density. Also available in Blue, Brown, Red, Orange, Green, Pink, Sky Blue.